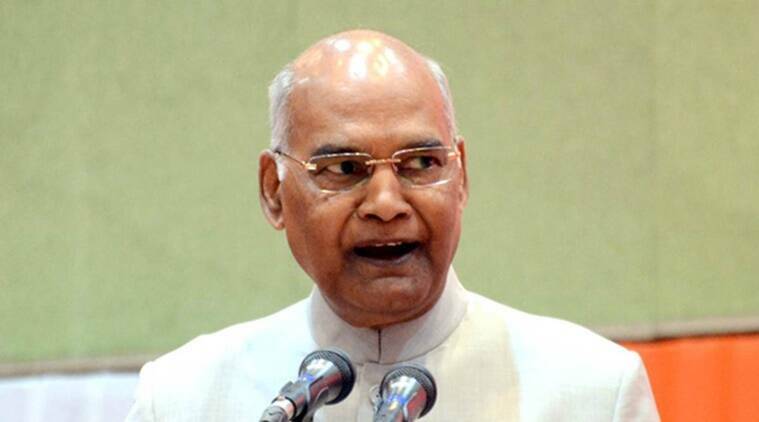 President Ram Nath Kovind Thursday said technology can be used to maximise the reach of several government initiatives as he urged students passing out from the Indian Institute of Technology-Kanpur to contribute to such national missions. The President was in his home city of Kanpur to address the 51st convocation of the IIT-K, where he gave away degrees to over 1,500 students. In his convocation speech, the President told the passing out students that their graduation is marked by excitement and opportunities in the country. “Today’s India offers unprecedented hope and avenues… .Our fast-growing economy offers you huge scope. With your talent, your education and your IIT degree, each of you can be a game changer for India,” he said. He said the government has undertaken many initiatives to improve the quality of life of citizens. Among others, he said, these programmes include the Atal Mission for Rejuvenation and Urban Transformation or AMRUT, the Deen Dayal Upadhyaya Gram Jyoti Yojna, Digital India, Make in India, Start-up India, and the Swachh Bharat Abhiyan. “Technology can be a force multiplier for all these programmes. As you build your careers, please attempt to contribute to such national missions,” he told the students. He also asked them to make contribution towards upgrading and re-imagining Kanpur as an industrial and commercial hub. He also talked about how Kanpur was central to the success of Centre’s ambitious programme to the clean the Ganga river. “The city is also critical to the success of Namami Gange. This is a programme to not merely de-pollute the Ganga and conserve it from industrial effluents. It goes further. It seeks to rationalise the allocation and usage of the river’s waters as well as to develop the Ganga basin,” he said. He presented medals and degrees to the meritorious students at the ceremony. Students were also honoured with the president’s medal, director’s medal, Ratan Swaroop Memorial Medal and Dr Shankar Dayal Sharma gold medal at the convocation. As many as 186 PhD degrees were also awarded at the function out of which 141 were awarded to male students while 45 to the female students. “IIT Kanpur started its first batch with just 100 students in 1960 and now 6,500 students are currently studying here. 5,000 students have completed their engineering from IIT-K and they are illuminating the name of India in the world,” the President said. The President also gave four success mantras to the students. “I want to give you four mantras for success. They are: get inspired, think big, maintain discipline and be humble and sensitive.” After the convocation, the President left for the outreach stadium on the IIT-K campus where he met the students who were part of the Patna’s famous super-30 group.